Scofield received a record number of entries this year. A group of 42 entries was narrowed down to nine finalists by a panel of five judges, including Concrete Decor editor John Strieder. Then the nine were given to a Grand Prize judge, who this year was Ned Cramer, editor-in-chief of Architect magazine. 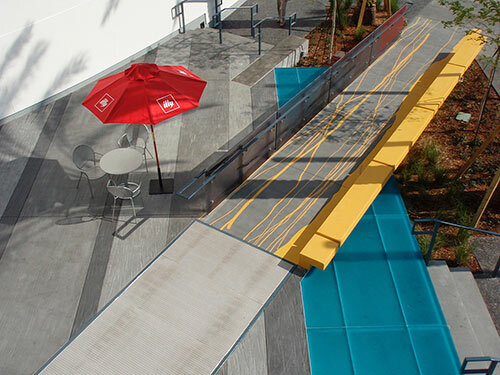 The Grand Prize award, an engraved cut-crystal trophy, was awarded to Homestead Paving Co. of Homestead, Fla. Their winning entry — a 20,000-square-foot colored and textured art plaza at the Museum of Art/Fort Lauderdale in Fort Lauderdale, Fla. — was recognized for its aesthetics, creativity and craftsmanship. 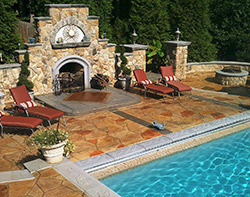 Alternative Floors, St. Augustine, Fla.; Diamond Polishing Systems, Puyallup, Wash.; Greystone Masonry, Stafford, Va.; Paulo Romero, San Jose, Calif., (for two projects); Polished Concrete of Philadelphia, Philadelphia, Pa.; Rescue Concrete, Rancho Cordova, Calif.; and Specialty Surfaces, Sparta, N.J. In addition to the juried contest, Scofield this year opened up a separate vote to the public so they could select the three projects they felt best exemplified Scofield’s “Colors of America” theme. 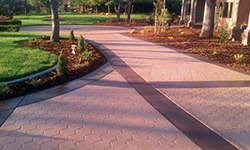 The three winners of this “people’s choice” award were: Surfacing Solutions Inc., Temecula, Calif.; Maverick Specialty Contracting, Seattle, Wash.; and Capitol Decorative Concrete, Easley, S.C.
L. M. Scofield materials used: Chromix Admixtures for Color-Conditioned Concrete in Charcoal, French Gray and Caution Yellow; Scofield Texturetop Stamp Grade in Caution Yellow. Paulo Romero, San Jose, Calif.
Lithochrome Tintura Stain in Old Hickory, Spring Green, Autumn Honey and Yellow; Cementone Clear Sealer. 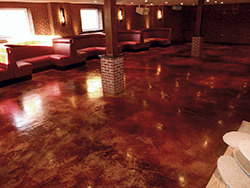 Alternative Floors, St. Augustine, Fla.
Scofield Formula One Liquid Dye Concentrate in multiple colors. 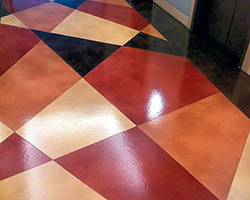 Diamond Polishing Systems, Puyallup, Wash.
Lithochrome Chemstain Classic in Antique Amber, Padre Brown and Faded Terracotta. 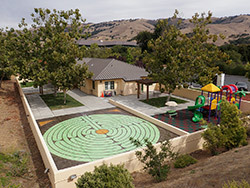 Rescue Concrete Inc., Rancho Cordova, Calif.
L. M. Scofield materials used: Scofield Revive Color Refresher in Sombrero Buff and Westwood Brown.